Earlier this year, Amazon was secretly lobbying to stop equal pay for women, even though other tech companies like Microsoft supported it. But now Amazon is openly bullying the city, halting construction on buildings because the behemoth would have to pay 0.26 percent of its profits in local taxes to help solve the homelessness crisis in our city. Amazon says it would be an undue burden – acting like a mom-and-pop store that is struggling to compete against Amazon. 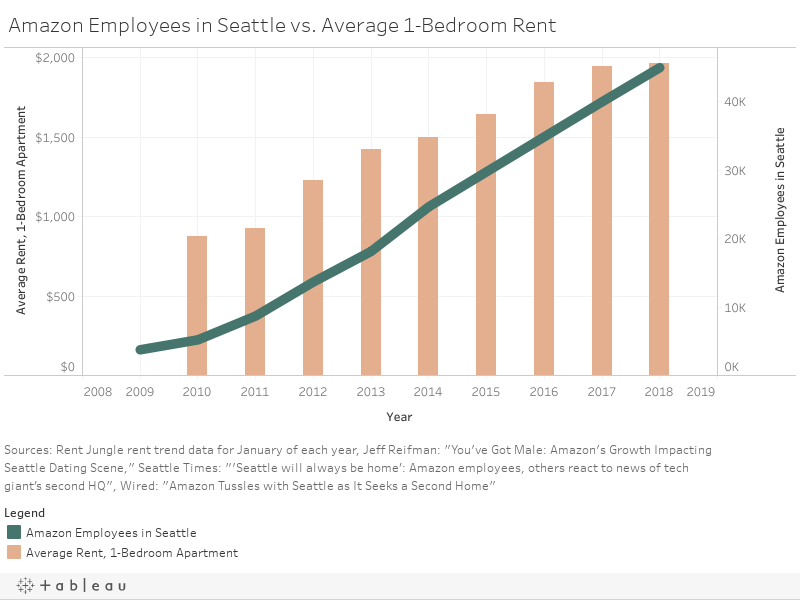 We live in a political climate of fear, where everything seems like it could come crumbling down, and Amazon likes to portray itself as the one thing keeping Seattle from becoming Detroit. Perhaps that’s why so many of them seemed so ill-acquainted with basic facts. When Katie Wilson, head of the Transit Riders Union and a tax panel member, observed that “the shortage of affordable housing is a major driver of homelessness,” people in the crowd shouted “NOT TRUE!” When a homeless woman stood up to speak, a man behind her yelled, “Stand up and speak, coward!” A man claimed that when he calls 911 to report a crime, the “police” on the other end tell him their hands are tied and they can’t respond. A woman said the city council has prevented police from investigating rapes by homeless people. A speaker who supported the tax pointed out that, contrary to what several speakers before him had claimed, the proposal involved a tax on businesses, not individuals. “LIES!” several people screamed. A speaker said he owned a home in Ballard and supported the tax. “SHILL!” “PLANT!” “PHONY!” the crowd roared. 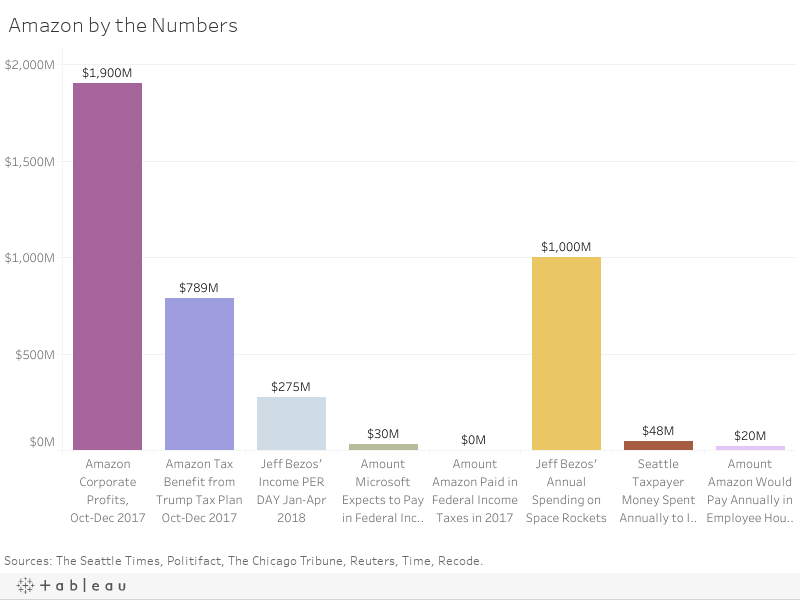 But let’s be clear – Seattle taxpayers are getting a raw deal from Amazon. Seattle officials have approved $480.5 million in improvements for South Lake Union over about a decade. That’s taxpayer money. How much would Amazon pay for the proposed employee hours tax? $20 million per year. While Amazon didn’t single-handedly cause this problem, they have contributed to the growing income inequality, displacement and housing affordability issues facing our City. That is precisely why — in their visits with 20 other cities — Amazon has sought to speak with elected officials about plans to proactively address those consequences. It seems only fair that as so many struggle to make their way through a tax system that’s rigged in favor of large corporations, that we ask those same corporations to financially contribute to the public health and housing solutions designed to address those consequences. The people of Seattle paid to build Amazon a nice home and the city is asking Amazon to return the favor for the less fortunate. Instead, Jeff Bezos is giving us the finger. He’d rather build a space rocket and leave us all behind.